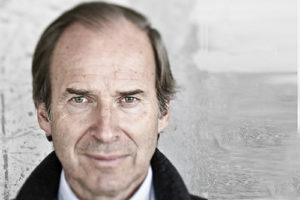 Simon de Pury is one of the leading figures in the art market. He is renowned for his deep and longstanding knowledge of the global marketplace and for his legendary performance on the auction podium. He was Chairman Europe and Chief Auctioneer Worldwide at Sotheby’s. He was also curator of the Thyssen–Bornemisza Collection, the world’s largest private collection at the time that today is housed in its own museum in Madrid. From 2000 to 2012 he was Chairman and Chief Auctioneer of Phillips de Pury & Company. In 2013 Simon founded, together with his wife Dr. Michaela, de Pury de Pury, a company specializing in building collections, consulting established collectors and institutions. In 2016 de Pury published The Auctioneer, his memoirs, that came out in the U.S. the U.K edition, Spanish and French edition, a Chinese edition is being released in 2017.